There are presenters out there who seem to have it all. They speak, the audience listens. They make a joke, the audience laughs. They don’t umm, they don’t ahhh, and they speak clearly, sharing their message and reinforcing it just enough throughout. By the end of the presentation, their audience is informed, educated and leaves the room with all their questions answered. How? This blog shares 4 simple tips and includes 4 extremely useful presentation eBooks. This is incredibly obvious, perhaps even to inexperienced presenters – but it probably the most overlooked element during the design stage. When you ask them, experienced presenters tell you that the very first thing they do is crystallize what they want to achieve with the presentation. What do I want the audience to know after the presentation? An excellent tip is to write down in a single sentence what your presentation is about and why you are presenting. If you can’t do it in 14 words or less, rewrite it – and one of the 14 words needs to be the powerful “so”. e.g. “I’m sharing how experienced presenters do it, so you can improve your presentations.” That sentence then gives you a very simple framework and clear criteria for what I want to put in and take out. 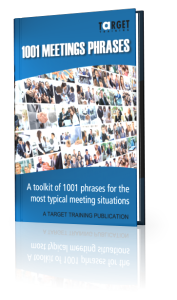 Perhaps the comedic writers Steve Lowe and Brendan McArthur best summed it up – “PowerPoint: The Microsoft tool that encourages people to think and talk like ********s.” You make the presentation. Powerpoint is a supporting tool. We’ve all done it. We find a set of existing slides and copy and paste our way to a new presentation. We think in slides and we build what we say around what’s on the slides. 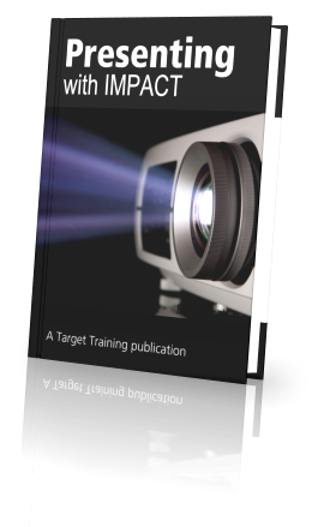 Experienced presenters build the presentation slides after they have planned the presentation, when they know what they are going to say and have a clear structure in mind. They use as few slides as possible because they want the focus on them and their message. This way, the presentation has a better chance of becoming a visual aid, rather than the main feature. Have you noticed it? The best presenters are in control and entirely comfortable with what they’re doing. Wow. How do they do it? They practice. Out loud, probably. Practicing is not thinking to yourself what you will say – it’s actually saying it. Recording yourself and practicing in front of a mirror will tell you exactly what your audience will see and hear as you present your content. When you come across as unsure of yourself or uncertain of your content you are creating barriers to success. And don’t focus on “learning it by heart” – focus on the big messages and the important bridges. “Practice your presentation a day before you hold it -if you start practising an hour before you run the risk of deciding to change things around which makes things harder. Your mind draws a blank. You’ve forgotten to make an important point. You just realized you’re babbling away. You don’t know the answer to the question. The audience looks at you like they don’t quite understand what you’re trying to say. Now what? We all make mistakes and “owning your mistakes” helps build credibility . Smile. Don’t wind yourself up. Move forward. Say it later. Focus on the next point. Say that you’ll find out the answer but you don’t have it right now. Ask the audience – what have you understood so far? – and take it from there. Moments when things go wrong happen – so remember they are only moments. Even the most experienced presenters draw a blank sometimes. If you look carefully, you’ll see that they have developed techniques that work for them (they take a sip of water while gathering their thoughts, they make a joke out of it, etc.). Experience taught them that. When used in the context of a work environment, technical terms act as shorthand between team members that make them work faster. Forbes notes that it’s a quick way to communicate. But when presenting to other departments or people outside your company, they are just words that typically sound complicated and daunting. . Menlo Coaching emphasised that you need to say exactly what you mean by using words and phrases that your audience will easily comprehend. Try to keep them as concise as possible. Even if there are people in the audience who are familiar with the technical terms you use, they will see right through you. They might get the notion that you are using catch phrases to make the topic (and yourself) more impressive. They will walk away from your presentation learning nothing new. If you really need to use jargon, make sure to elaborate on what you are trying to explain or give an example. If you are the project leader and you’re teaching your team, the use of jargon might demoralize them. At best, they will see you as someone not considerate enough to deliver a talk that they can clearly and easily understand. When your presentation becomes incomprehensible due to too much jargon, boredom will soon set in. Their minds will wander to matters that take more priority. It may also lead to audience members chatting, which can generate noise that distracts others. Get their attention by stringing along words in a new way that they haven’t heard before. You have to be creative – and perhaps entertaining – to gain the audience’s attention. If you are trying to rally the members in the audience to a specific goal, you will lose them from both an emotional and logical standpoint. Even if they understood the message, they won’t have the drive to achieve it and vice versa. Leadership trainer Alan Matthews recommends stating your message in definite terms and allowing your audience to formulate the necessary actions/response. This will make them feel personally involved in the presentation. Using generic and non-contextual phrases that confound the audience will make it seem like you’re just droning. You need to prioritize re-evaluating your presentation. Filter out all the jargon and try to limit the number of words in each sentence to deliver their basic meaning. Members of the audience may ask you to expound on some parts, but that’s better than leaving them drowning in a flood of corporate speak. If you still think your use of jargon is effective, at least send a survey to the audience to get a gauge on your presentation style. If there appears to be a mismatch between the messages you are conveying and their perceptions, then maybe it’s time to toss that jargon glossary out the window. Jean Browne works as a researcher and fact-checker for a career coaching firm in England. She occasionally engages in public speaking when giving seminars. In her spare time, she does freelance work as an events host and bingo caller, among others. I’ve been involved in business English training since I left university, and over the years I’ve helped hundreds of executives, managers and experts improve their presentations in English. I’ve worked with confident presenters, nervous presenters, boring presenters and inspiring presenters. Some of them have struggled with their presentations skills, others with their content and many with their English skills. All of these people came to mind when I was preparing a presentation in German. It was a sure case of the shoe being on the other foot for once and I was quickly reminded that knowing what to do and doing it aren’t the same! After some preparation and practice I drove to Bonn to make the presentation. I felt that my message was clear and the audience seemed interested and convinced. There’d been some nodding heads, some laughter in the right places, and a few questions. Job well done, I thought. Reflecting and debriefing is always important if you want to get better, and there were a couple of people in the audience who I knew and respected. With this in mind, I asked them how they felt I had done, and what I could do better next time. Their answer was clear and consistent – “Sometimes you spoke a bit too fast” and “It was hard to hear you in some places”. Ouch! I thought about the feedback – and then replayed my presentation in my mind. Upon further reflection, I realised that when I began to struggle with my German I unconsciously began to speak a little quieter. Although I knew what I wanted to say I wasn’t sure about how I was saying it – and without realizing it I turned the power down. I also realised that when I began to struggle with my German I unintentionally spoke faster to hide my mistakes. Because I’d forgotten to remind myself about a common problem that many people face when presenting in a foreign language – nerves mean they forget the 4Ps. For a lot of us it’s a fact of life: you always think of the things you should have said after the conversation finishes or the moment passes. Why is it that when you need something brilliant to come out of your mouth, it doesn’t come out, or it comes out wrong? The name ‘elevator pitch’ is based on the idea that it should be possible to deliver a summary of your conversation in the time span of an elevator ride (thirty seconds to two minutes). If two minutes are all you have, what will you say? The participant from the above quote didn’t think to prepare for such a moment. Perhaps she thought she would just “wing it” if the moment ever arrived. But it requires real forethought and planning to get your message across concisely and engagingly, especially when you only have two minutes to do it. A great elevator pitch has one aim. To appeal to someone you want something from somewhere in the future. When the doors open you want to be walking away with some kind of commitment. At the very least, you’re hoping for a business card. So, absolutely everything you’re going to say has to generate interest – there’s no space for fluff and waffle. That can be pretty tough, and that’s why it’s all about the preparation and thorough, personalized practice with tough and challenging sparring partners. Opening – How will you open your elevator pitch and make it topical and relevant? Attention – How will you keep their interest in what you’re saying? Language – Don’t be tempted into using jargon and complex words. Steps – What are the next steps? Talking for a minute without interruption is a long time, have you tried it, or listen to someone do it? Say your elevator ride takes as much as two minutes. In that time you’re building rapport, you’re allowing the other person to answer and ask you a question or two, etc. It’s not a monologue. Brian Walters calls it verbal ping-pong. So in fact, you might only have the chance to say three or so “meaningful” things. Having an (important) elevator conversation with someone you don’t really know can go one of many ways in between going terribly wrong and going absolutely great. Be interesting, whatever you say. When possible. Use similes when describing yourself. Compare yourself/the situation to someone/something recognizable or a cross between things. We offer a range of free services aimed to help you succeed globally. Visit our website or get in touch if you haven’t yet found what you’re looking for. What makes a presentation memorable? I think you’ll agree with me that a memorable presentation has more to it than the introduction, some main points, a summary, a conclusion and time for questions. The presentations I remember best and enjoyed the most have all had one thing in common – a story. Stories have been used throughout history to teach and using them in a presentation makes it more memorable and more interesting for your audience. As a company of trainers, we know that personalization is key to successful learning. This is a very sound piece of advice which applies to any form of learning. Personalization draws the audience in, it makes them feel involved. People who care about what you say will listen to you and remember your message. This may be hard to do when reporting on last year’s figures, but with a bit of imagination, there’s always a way. The rest of this post is dedicated to the great presenters of TED. This playlist on storytelling has six great videos. The first video in this post is a presentation by Andrew Stanton. It has a particularly interesting opening. The rest of the video is worth watching too. The second video is by Simon Sinek, who talks about inspirational leadership and the golden circle. The comments box is yours! Presenting under pressure. Performance anxiety. Stage fright. Call it what you want, but the incredible nervousness some people feel as soon as they stand up in front of an audience is real. And if your audience is your boss, it can really affect how you present. Unless you’re prepared for it. I am not a fan of the old advice, ‘Imagine everyone in the audience in their underwear.’ Depending on who’s out there, it could get distracting! Most people manage their jitters by doing one thing: They prepare. There is no greater tool you can have in your toolbox. Having a good handle on what you’re talking about gives you confidence, gives you the knowledge you need to handle any question that comes your way. Don’t just have a ‘general idea’ of what you’re going to say. Script it, if necessary. And whatever you do, don’t just ‘wing it.’ Lots of people try it. And frankly, it fails far more often than it succeeds. The old joke goes, ‘How do you get to Carnegie Hall?’ ‘Practice, practice, practice.’ Try your presentation out for people. Ask for their feedback. It seems simple, but asking for help is sometimes the hardest thing to do. Do it in front of a mirror. Save it on a voice recorder and play it back. Ask people to look at your slides (Here’s a good guide to building excellent slides). Most of the time, your nerves are lies! Believe it or not, most managers/bosses/audiences/groups/colleagues want you to succeed. Do your work before you go in and know (and I admit there is no magic way to do this) that the stress and anxiety you feel is NOT REAL. Take a deep breath and know your audience wants you to do well. And if you feel those nerves again and it feels like the words are coming out of your mouth and you have no control over them, just stop a second, take that deep again and carry on. https://www.targettraining.eu/wp-content/uploads/2016/06/clapping.jpg 361 927 Gary Anello https://www.targettraining.eu/wp-content/uploads/2013/04/logoWP.png Gary Anello2015-06-17 16:56:152018-06-06 12:29:30Giving presentations scares me to death! If you are nervous about presenting in English, making an effective introduction is especially important. An effective introduction will help your audience know what to expect and it will help you feel confident. Once you’ve started well it is easier to keep going – and don’t forget that your audience is there to listen to what you have to say and not your English! Why are you standing there presenting? What is the purpose of your presentation? What are the steps in your presentation? What is the process you will follow? Why should your audience listen to you? What is their payoff? It doesn’t matter if you are introducing your team, presenting a process or giving an update on a project – the structure is the same. 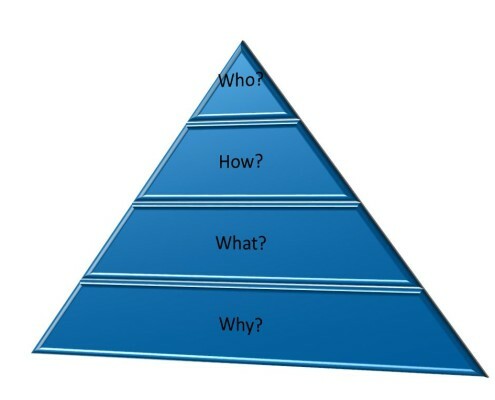 The 3Ps help you remember this structure, and if it helps you when you are nervous, why not use the three keywords? If you follow this structure, your introduction will be simple, clear and effective. Most importantly you can concentrate on what you want to say, and stop worrying about the English. Good luck, and why not let me know how it works for you? Are you using too many presentation fillers when presenting? Have you ever given a presentation and started using words like ‘umm’, ‘erm’, ‘well’, ‘I’m not sure’, ‘maybe’, ‘how can I put this’, etc. because you didn’t know what to say or how to answer someone’s question? Have you thought about the effect this has on your listeners? 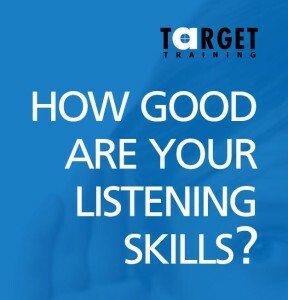 You want your listener to think that you know your topic very well, that you are well-prepared and that your English language skills are very good. Unfortunately, words and phrases like the ones above (which are called fillers) can leave your listener asking themselves why they should listen to you if you don’t really have anything important to say. Even worse, your audience might start focusing on these words instead of the topic of your presentation. That’s why it is important to know how to act when giving a presentation. Here are some tips for you to remember so your audience doesn’t get distracted by your words instead of hearing and remembering your intended message. 1. Know your material. This includes your slides, but also the English words you use on them, other jargon (or specific language) which is important to explain your product or strategy as well as verbs to make your presentation active. Using all of these correctly will reduce the need to use fillers because you are knowledgeable about your subject. 2. Anticipate questions. Think about possible questions the audience might ask and the answers you might give before the day of the presentation. You might think this is a waste of time, but if you can anticipate the ideas and the vocabulary you might need in advance, you won’t need to use a filler phrase to gain time. 3. Practice your presentation in advance. While you might not need to memorize the presentation, you should go through it at least once before giving the presentation, (the more often, the better, however). Practicing the presentation means that you have said what you want to say out loud, that you have thought about your introduction and conclusion and that you have practiced using the visual aids, (slides, props, flipchart etc.) while speaking. This is not always as easy as it looks, especially while doing everything in another language! (For those of you who have a Target Incorporate Trainer in your company, you can ask them to help you with this). 4. Be comfortable with silence. Perhaps this sounds silly to you, but some people use fillers simply because they don’t like silence. In today’s world of constant sounds, it is an easy trap to fall into. This doesn’t mean, however, that saying something without content is better for your audience than saying nothing at all. Everyone, including your audience, needs a chance to think and organize their thoughts before responding to or asking a question. Allow them to do this without interruptions! Finally, some words of advice. Don’t worry if you still use presentation fillers occasionally. Even native speakers sometimes use them. What’s most important is not to overuse them. Let us know if you have any comments below and good luck on your next presentation! Also, check out our seminar on Presenting with IMPACT to get better results with your presentations.